With few objects in the room, the element of balance becomes really important. Consider the visual weight of each piece and make sure they work in harmony. If you are going to use large pieces, make them really large or really small for effect. 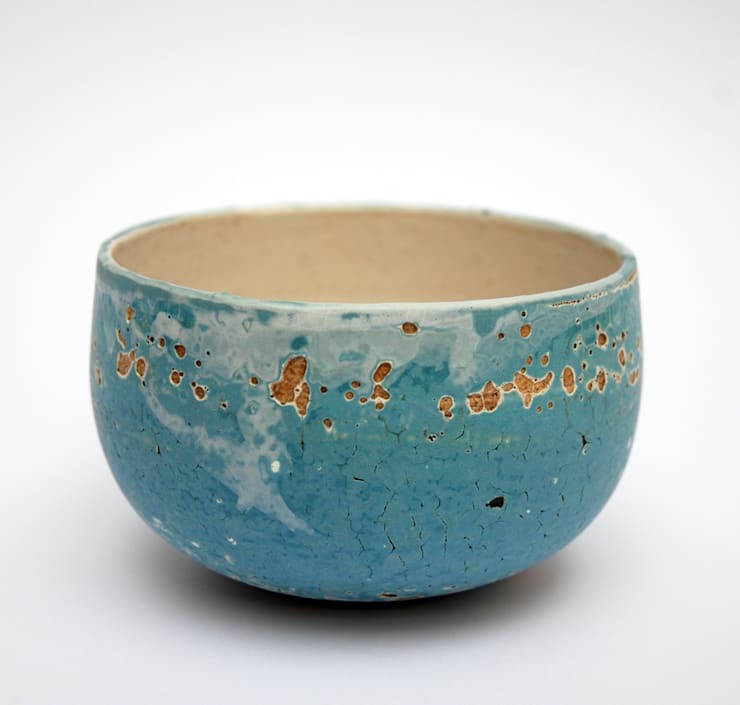 Simple decorations such as branches, beautiful bowls or abstract artwork are often good for a minimalist decor. The beautiful form of some branches or a lovely sculpture could even be highlighted with dedicated lighting. 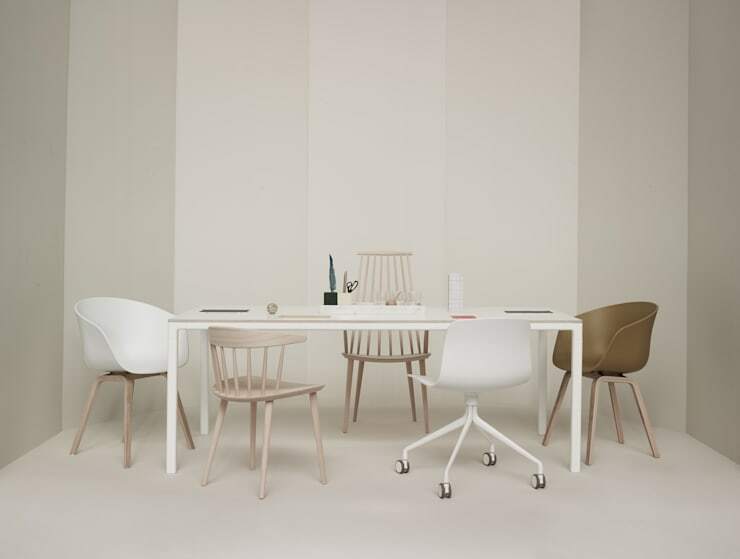 Simple and visually lightweight Scandinavian furniture is often a good choice for a minimalist-style apartment. This kind of furniture is often designed with a stripped down approach that really highlights the beauty of the form. 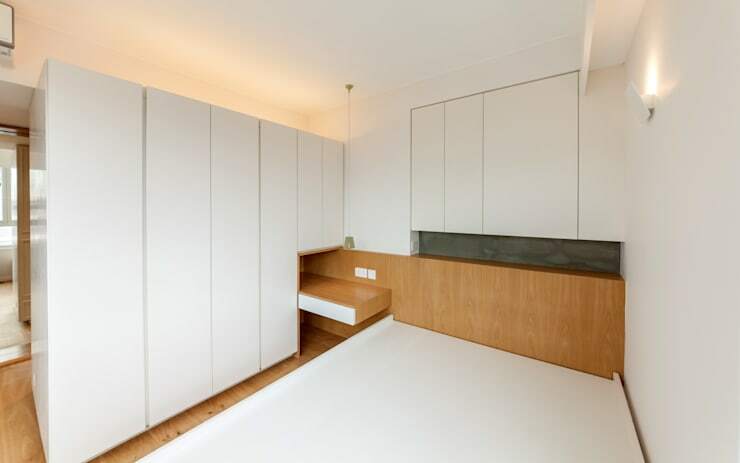 Built-in handleless floor-to-ceiling cupboards are really handy when creating a minimalist decor. They help hide away all that clutter. For the best results, invest in some bespoke cupboards that make the most of every inch of space. 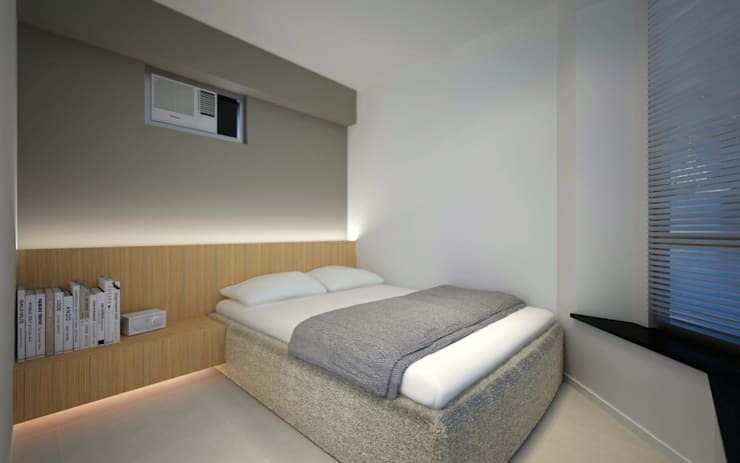 This minimalist bedroom comes to us courtesy of Hong Kong interior architects ArctitudeDesign. Declutter, then declutter again… and again! Choose what you put on display and don't forget that once you strip the interior of extraneous clutter, the simple shape of each piece really comes into focus. So find elements that work together in harmony. 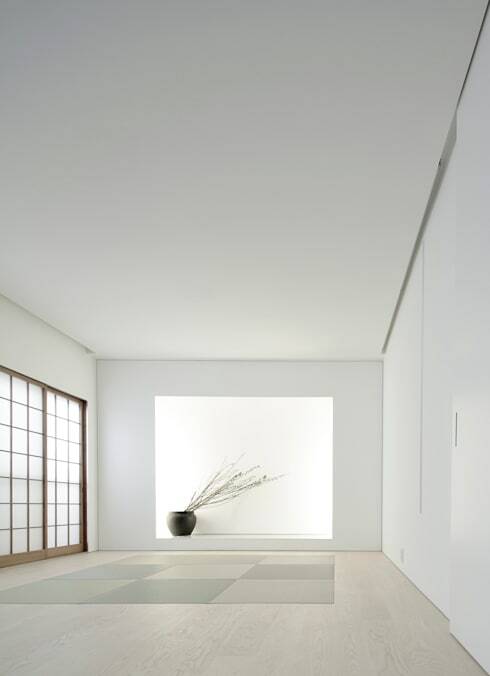 White interiors are definitely synonymous with minimalist-style homes. But this doesn't mean other colours can't work. The key is to restrict the colour scheme to the absolute minimal amount of shades. Wood is always a good accompaniment if you want variety. 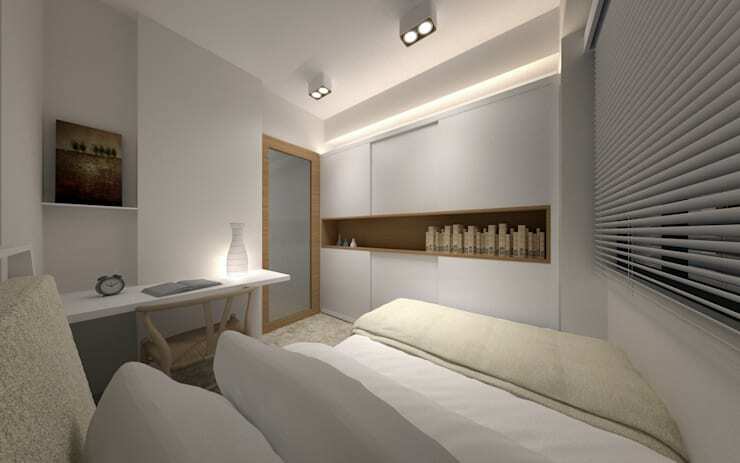 In this bedroom, we can also see how it adds natural warmth to the decor as well. Our eyes tend to snag or focus on anything that interrupts the visual flow in a room. This interruption is often caused by objects that block the continuous lines in a room. 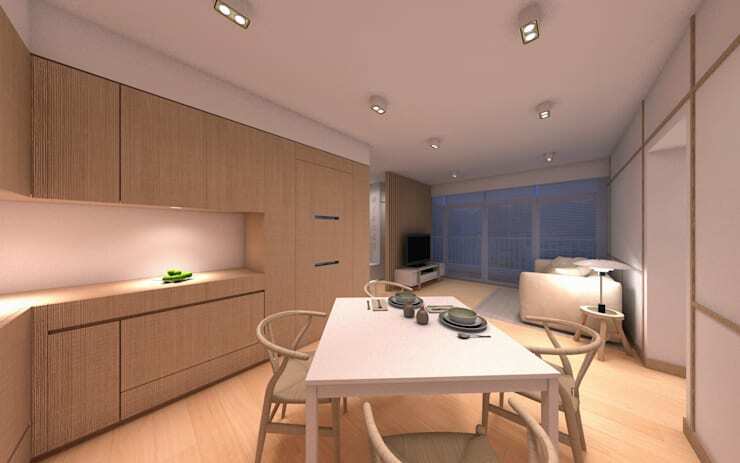 With few furnishings, the light will become a key factor in the decorating scheme. Striking recessed lights are often a good way of harnessing this power and creating a simple decorative element. 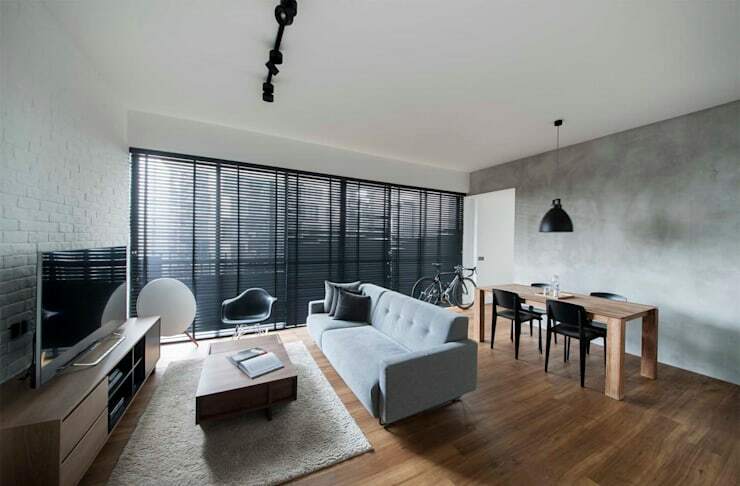 The texture, colour and form of your furnishings and decorations will be incredibly apparent in a minimalist decor. Focus on buying quality furnishings and accessories with a beautiful attention to detail. 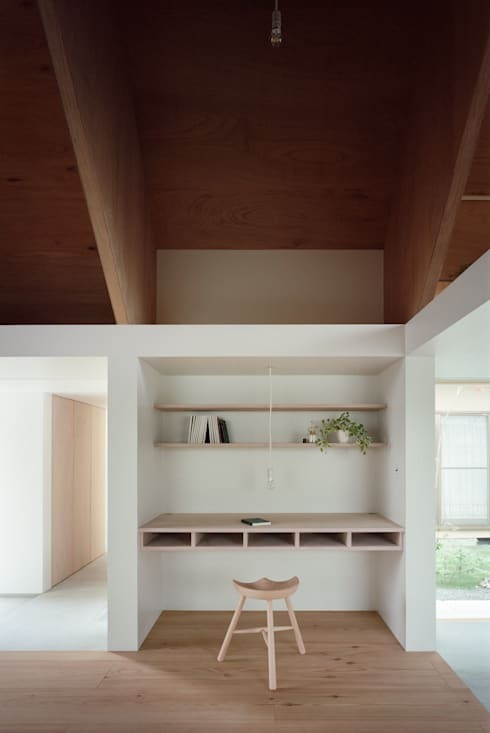 If you want to see how minimalism can be done well, check out: The minimalist home with a surprising feature. If you have any more tips on how to pull off a minimalist decor, share them with our readers in the comments field below!